Training Track sends configurable email notifications to both employees and site users to provide oversight of upcoming and past due training assignments. Please note that employees must have an associated Work Email Address to receive notification of assigned training. Training notifications are sent the morning after the training is assigned at the earliest, unless you specify to send notification immediately when assigning a training, and as long as the due date falls within the set notification period. These settings are specific to each site in your account. Set the time of day at which automatic emails will be sent from the system. 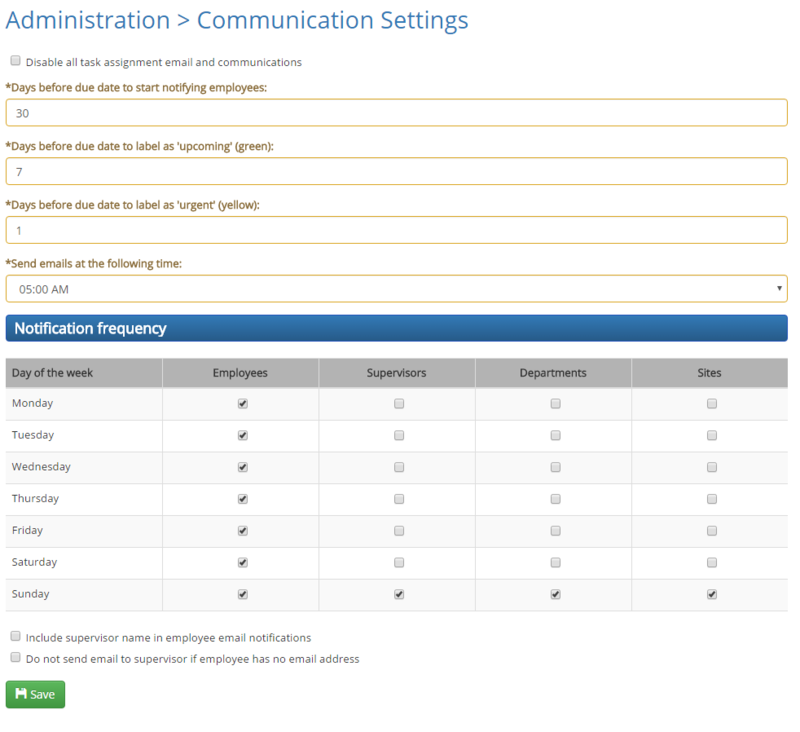 Timezone can be set on the Organization Settings page. This will include the employees supervisor name on the notification email. The Risk Management platform will send the following email titles to employees and users. This email is sent to supervisors, managers, and site users with access to Training Track. Supervisors will receive a separate summary for each department, and users will receive a separate summary for each site in which they have access to Training Track.